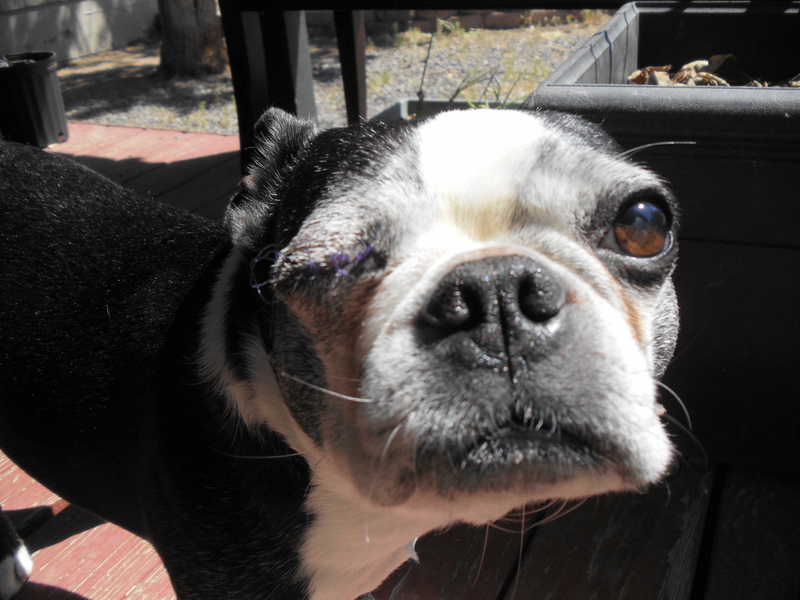 Leo is now 11 days into his healing from eye enucleation surgery. Leo is doing very well! Yesterday I actually took the time to look at all of the blogs of Leo’s progress and am amazed at how he is healing. 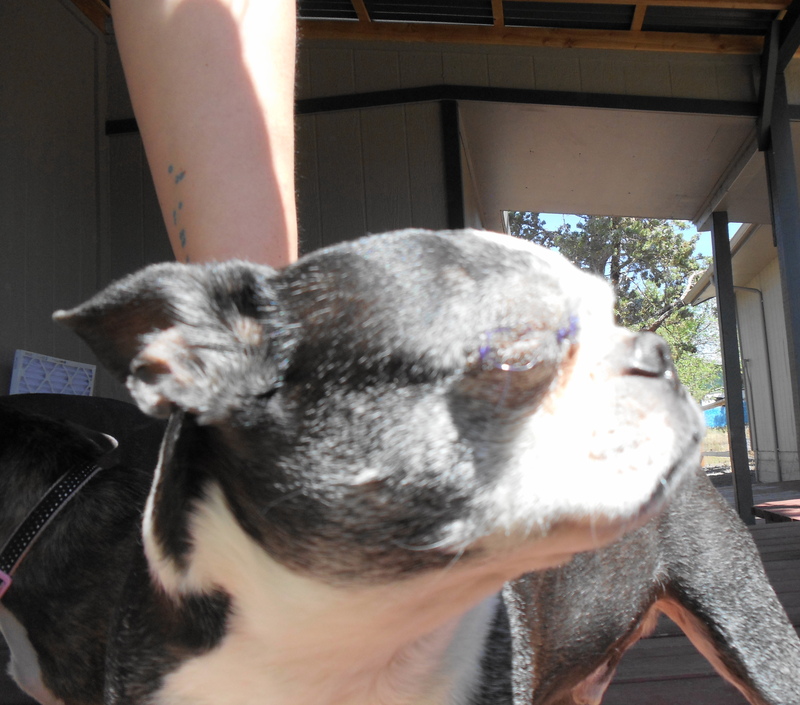 Seeing how much the swelling and bruising has gone down and how quickly he has healed is wonderful. Leo is full of energy and wanting to play…he gets to play some, but not nearly as hard as he is used to (will take a very long time until we let him play like he used to again…maybe never as our goal is to make sure his one eye stays safe & healthy). 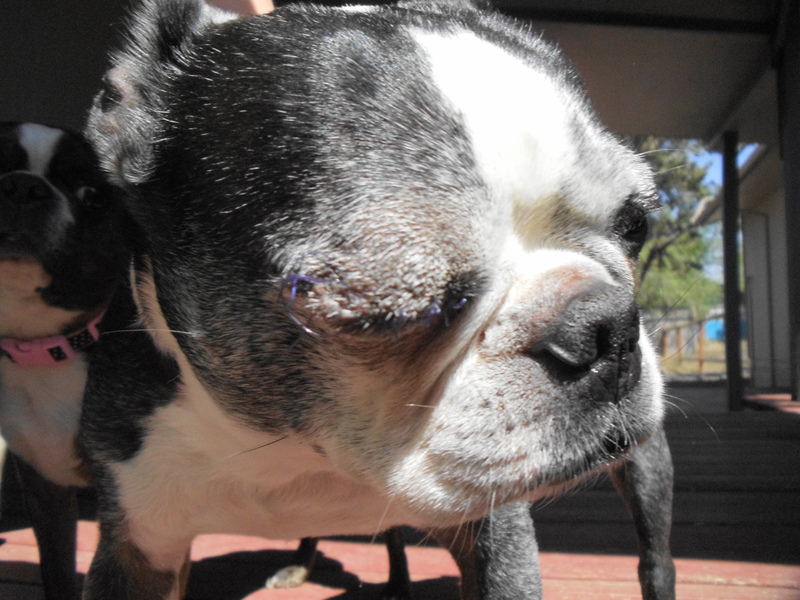 Leo is loving being able to be outside and soak up the sun, prior to his surgery he wasn’t able to because the sun made his eye worse. This Thursday Leo has a follow-up appointment with his vet to check on his progress and get his sutures removed…we are very excited to hear what the vet has to say.